I still think… “Wow, did we really raise that much money?” [ $60,000.00 ] It was just a group women in my movement classes who organized and pulled it off. Well, the truth is, it was an incredible group of sharp women that pulled off a series of mini-fundraisers as well as a large event in over 4 months. 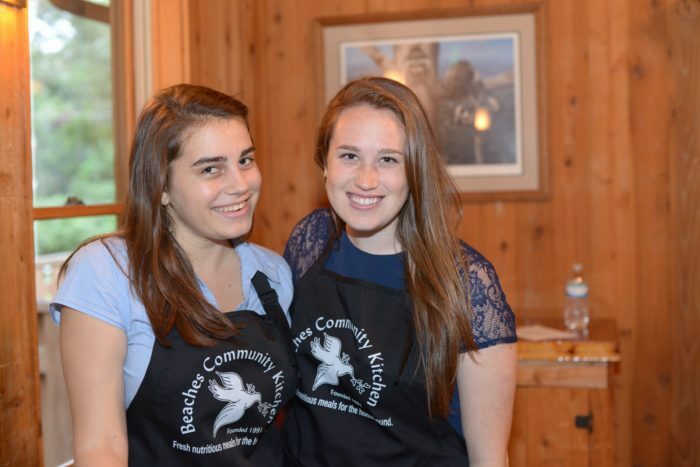 Our biggest challenge was that no one had heard of the non-profit called Beaches Community Kitchen (BCK) even though it had been doing awesome work in our community for several decades. So, really, we had to increase awareness and raise funds. Yet, a great feat was attained by women who care. 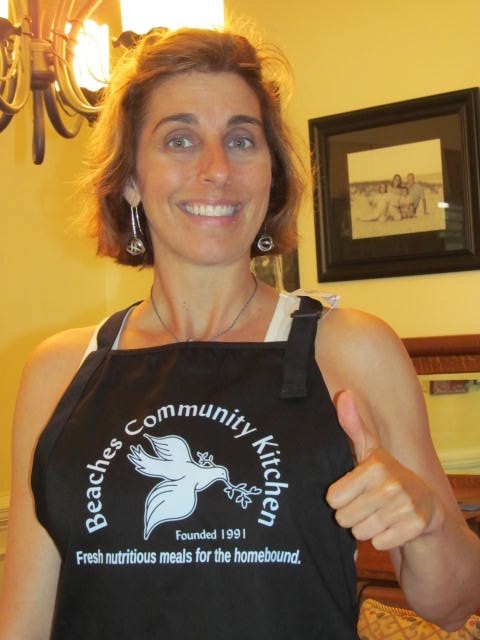 Beaches Community Kitchen (BCK) has been quietly serving our beaches community since 1991. 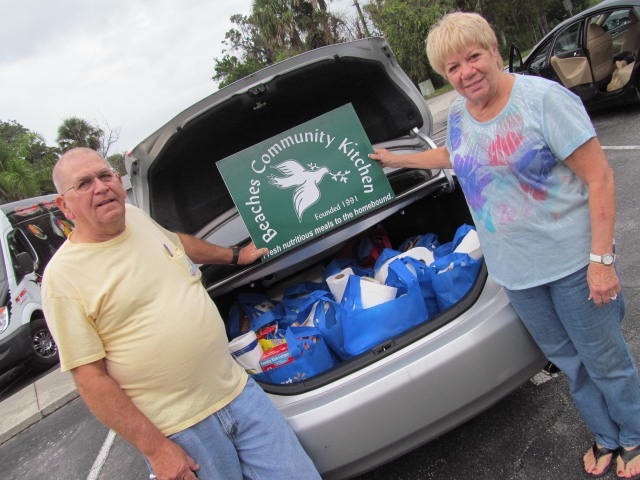 The non-profit provides freshly made, nutritious meals delivered within one hour of preparation to our beaches homebound elderly and disabled. The organization operates with no salaries and no overhead. It remains 100% volunteer driven. 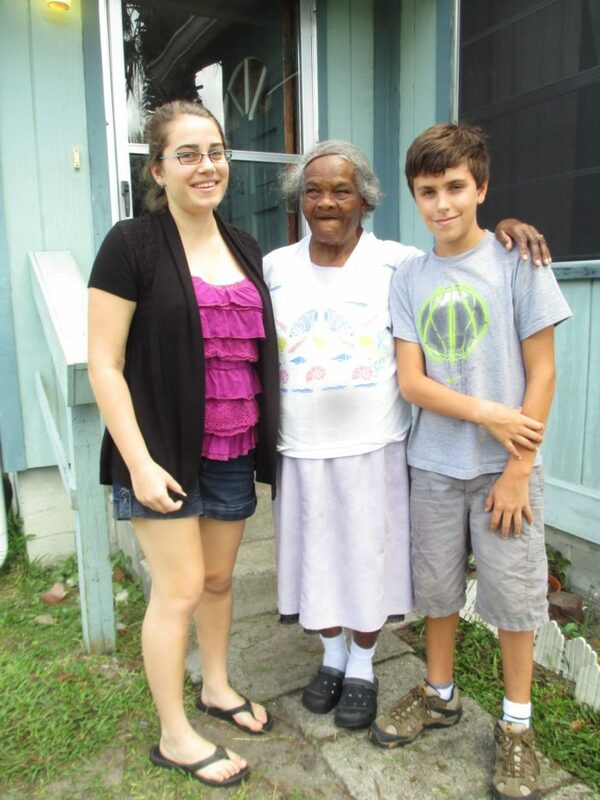 100% volunteer driven means that all its labor resources remain dedicated to its mission of feeding the homebound. It also means no marketing and no fundraising. The organization operates on a very limited budget. The volunteers are incredibly savvy with how to obtain fresh food as well as cook in a commercial kitchen free of charge. These folks really are on the front line of doing good in the world. As well, the non-profit remains organized with its volunteer delivery method. 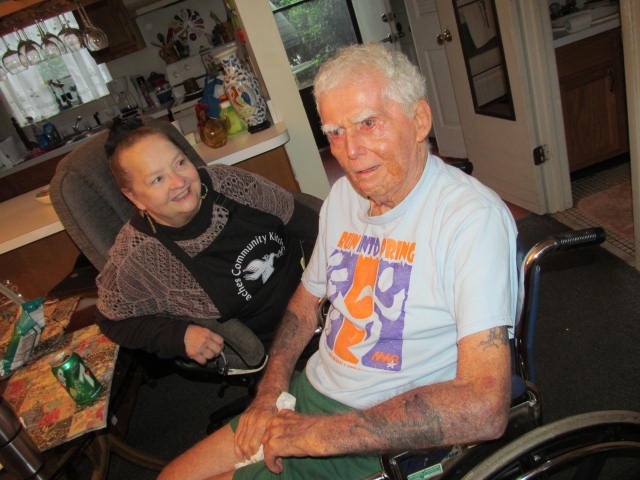 Homebound elderly and disabled receive fresh, hot meals three times a week. BCK packs enough food into the day’s delivery to actually provide leftovers for the next day. So, many of BCK’s clients are able to extend the food to last 5-6 days. Furthermore, when the hot food is delivered to a client’s home, often, it’s the only human contact the homebound individual has had that day. 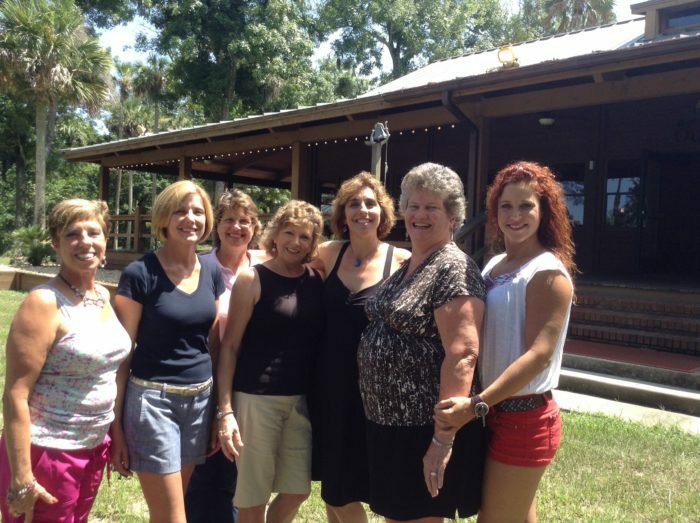 Over the years, bonds between volunteers and clients have formed. Volunteers have been able to help refer BCK clients to additional resources when needed. Why I led fundraisers for BCK. BCK used to cook its meals in Mission House’s kitchen. Mission House was building an addition so BCK had to move. At the same time, my husband’s company acquired a commercial kitchen during an office relocation. His company needed to dispose of the contents from a commercial walk-in freezer to stainless steel counter tops and a mother lode of commercial kitchen tools and supplies. 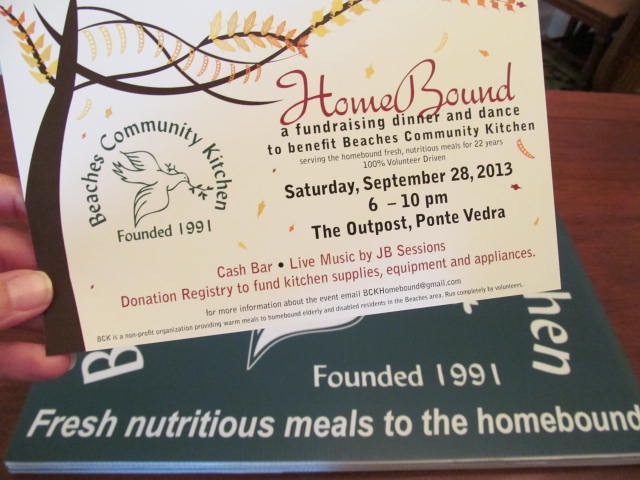 At my prodding, my husband pursued donating the “kitchen” to another one of my favorite non-profits, BEAM. BEAM’s Executive Director was able to divide up the contents of the kitchen (as well as a conference room and a theatre style meeting room) and disperse them to other Jacksonville non-profits in need of office furniture and, of course, kitchen supplies. From our connection with BEAM, we heard of BCK’s story. I quickly realized that BCK needed money to make any type of move and continue to sustain itself in the years ahead. It all started with a series of emails. First, to women who took my yoga and Pilates classes as well as women who I enjoyed participating with in Pole Dance Fitness. Second, I sent a series of emails to local yoga studios. The result was an amazing compilation of fundraisers based on people who willingly gave of their time, talents, and treasure. I remain forever grateful to all who stepped up when they heard my call. Since 2006, I have led variations of this workshop. It always sells out. So, I knew it would be a great fundraiser and awareness raiser. I partnered with Big Fish Power Yoga. The studio donated the space. I donated my teaching time and marketing skills. As a Baptiste studio, Big Fish then went “above and beyond” and donated its monthly proceeds from their Sunday afternoon classes for a quarter to BCK. Our collaboration was an impressive exhibit of what the studio calls Soul Service. I remember when I first emailed Big Fish owner, Mary Lyn Jenkins, about this idea. Without hesitation, she dove in, fully, with her heart and skill. 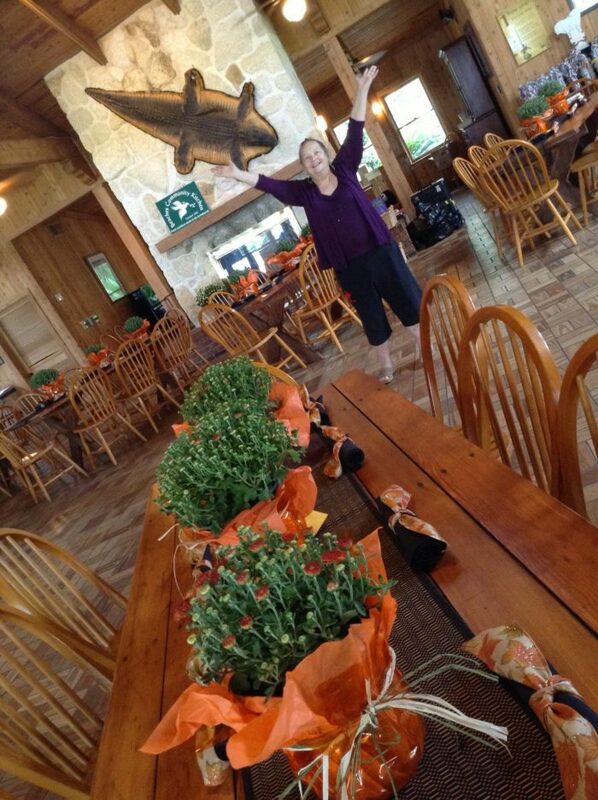 Melt Method instructor, Joyce Savitz, also leapt at the opportunity to be of service. 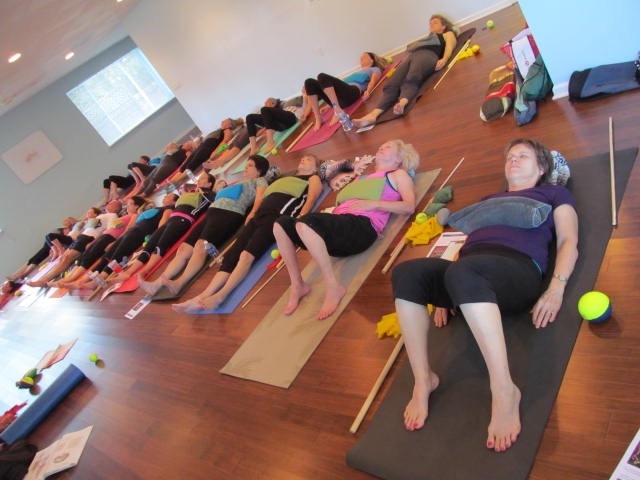 She donated her studio, Jacksonville Yoga, and her time as she led participants in a wonderful Melt Method workshop which helped folks alleviate discomfort and hydrate their tissue. I have known Joyce since 1999. She introduced me to the philosophy and methodology of Anusara Yoga as our first Certified teacher here in Jacksonville. This alternative fitness company stepped up immediately when I called owner, Shannon Baker Burbridge. Aura Pole Dance Fitness created a special event featuring performances by various enthusiasts. The standing-room-only fundraiser included a cover charge and a raffle. Most of all, everyone had a blast and was amazed at the strength, grace, and agility required for Pole Fitness. 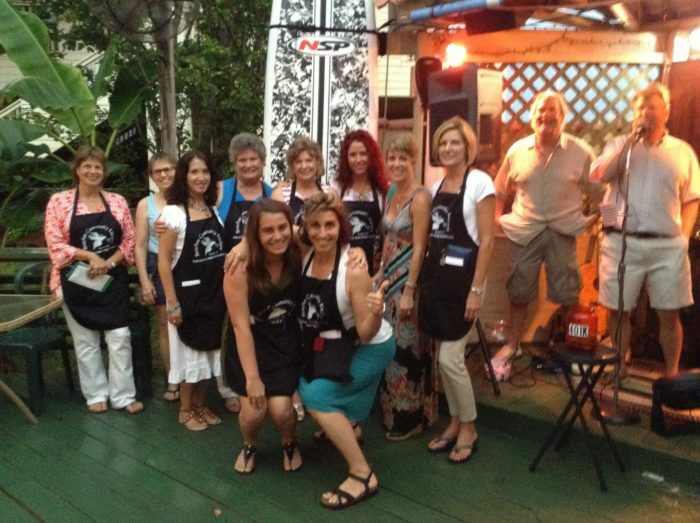 This was a sweet combination event that included (2) wonderful beach businesses owned by long time residents. Sunrise Surf Shop donated a stand up paddle board. 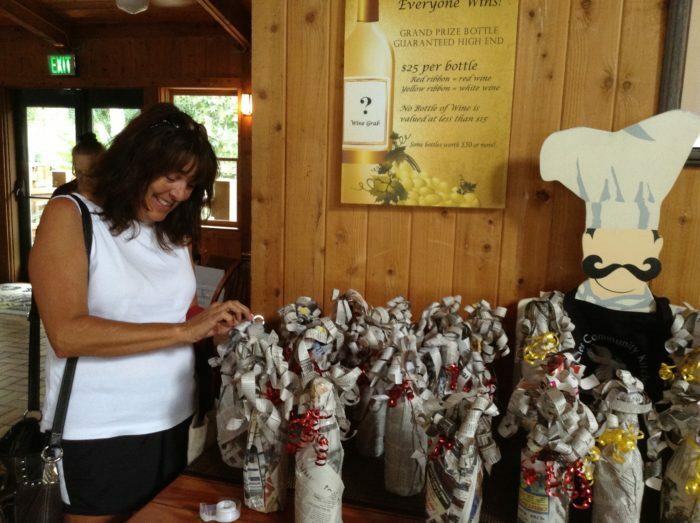 And, we raffled off only 125 tickets. Then we held an event for the drawing at Billy’s Boathouse (which has transitioned to another venue as the owner, Bill Cissel, has focused his efforts on his deliciously yummy Gracious Grits which are sold in Publix supermarkets). 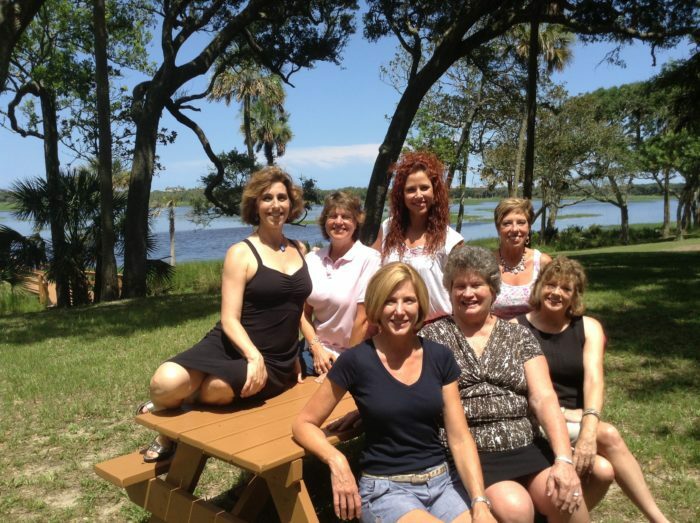 Every year, a local political watch group for our beaches community offers a $1,000.00 to a non-profit. When Executive Director, Sandy Golding, heard BCK’s story via my submission, she and the Beaches Watch board recognized BCK with its Give Back Award. Our biggest fundraiser was a spectacular early evening on Gate’s former property called the Outpost. While individuals bought tickets to the event, Gate also provided multiple in-kind exchanges to keep our event costs down. The Jacksonville-based petroleum company is known for its stellar support of local non-profits. 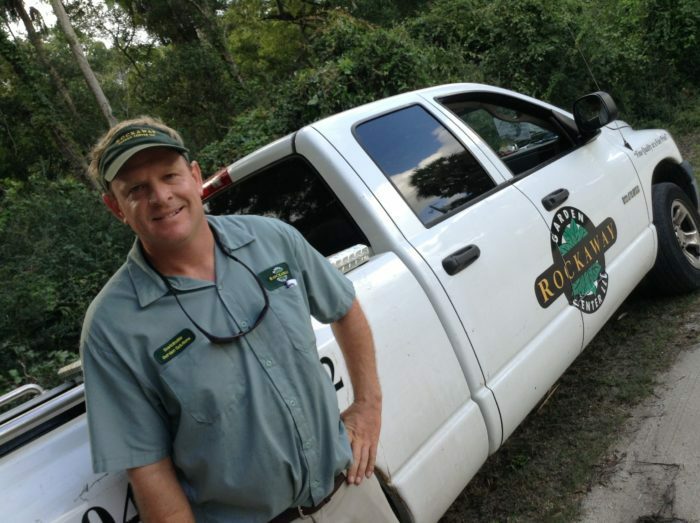 Furthermore, Rockaway Garden Center in Jacksonville Beach donated plants which created a stunning entrance to the venue. In addition, Dana Merrill of John Merrill Homes generously designed all of our print products from event tickets, raffle tickets, signage, and aprons. Thanks to the generosity of all, the result is that we brought in a lot of money for a small non-profit at the beach that does tremendous service work for the homebound elderly and disabled.